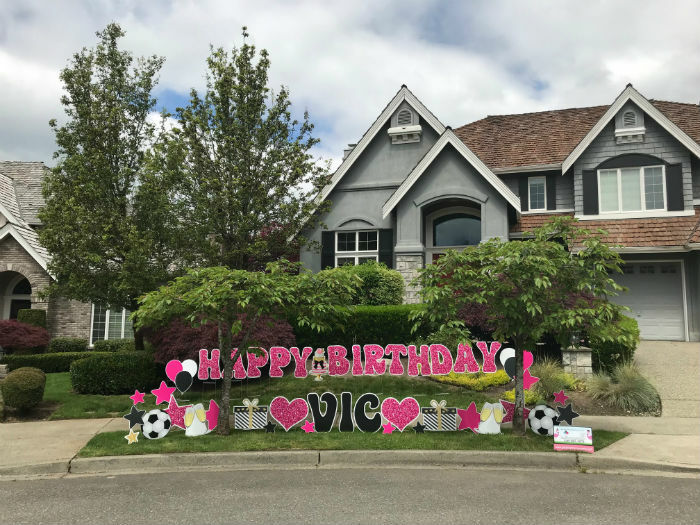 Our Birthday Yard Signs make the Perfect Themed Party Decorations! Looking for a fun surprise birthday gift? Check out our birthday yard signs! Congrats 2018 Seniors – We’ve Loved Surprising you with our Graduation Yard Signs!